What does “starting at” mean? What other costs can I expect? Depending on your venue, logistics, and guest count your quote will include the cost of “day of assistants”. Each one is $150 and most weddings typically require two. 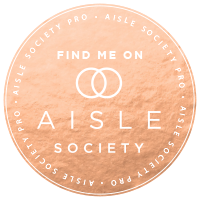 These assistants provide coverage over your day and help act as a resource for you and your guests. 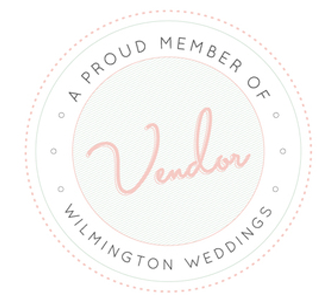 We certainly have vendors we love and respect and look forward to working with! But for each wedding, we are open to working with anyone you’d like to involve. What other services can I contract for? We can assist with rehearsal dinner coordination, gift wrapping, errands, additional meetings etc. Most additional services are priced at $35 an hour. What is involved in your payments and quotes?To reserve your day, all that’s required is a $300 deposit with your signed contract. From there, payments are broken out in your quote to be paid in increments leading up to your rehearsal. We accept cash, check, or can prepare an invoice to pay electronically. Reach out! Contact us! We’ll grab a glass of wine or meet up at a Port City Java and chat about what you’re envisioning and how we can help. I believe meeting or talking before we really nail down quotes and contracts is crucial!